This marks the end of the CASE Study anniversary challenges. I have really enjoyed the different challenges that they put on all month long. The last challenge is to CASE ourselves. 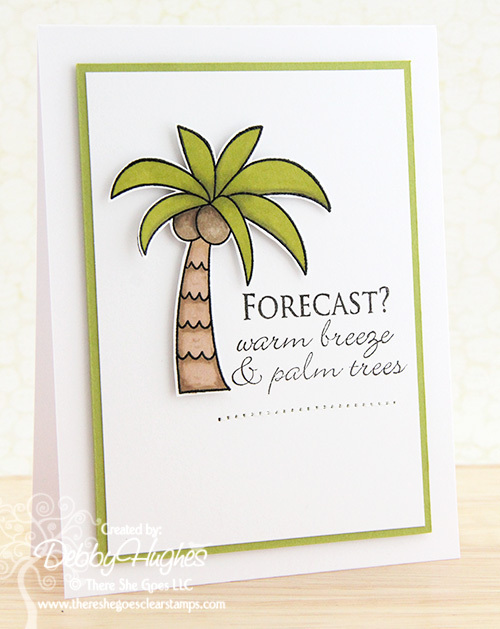 I decided on this card that I made in the Spring, but put a Fall twist on the design. 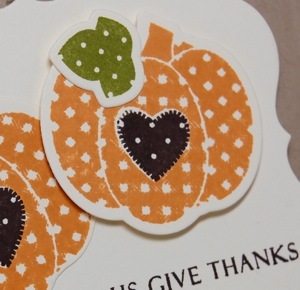 How cute is this little pumpkin?! I can't believe it is here, that last day of Summer vacation! In so many ways I'm ready for the kids to go back to school. Less time together = less fighting, or at least we hope :) I'm ready for the routine, but I'm sad too. I'll miss my little guys. The house seems so big and lonely when everyone leaves. My hubby has another week before he returns to school for the new school year, so at least we'll get some time together and he'll get to see the kids off for their first day of school tomorrow. 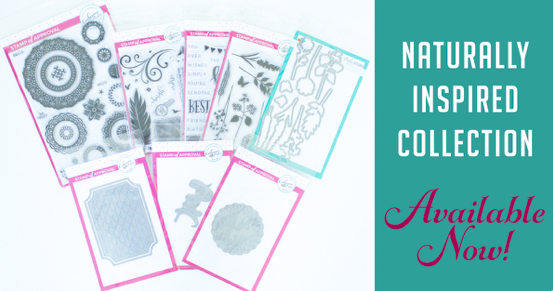 As Summer winds down, I was drawn to this Summer Fresh patterned paper collection by Simple Stories for today's project. 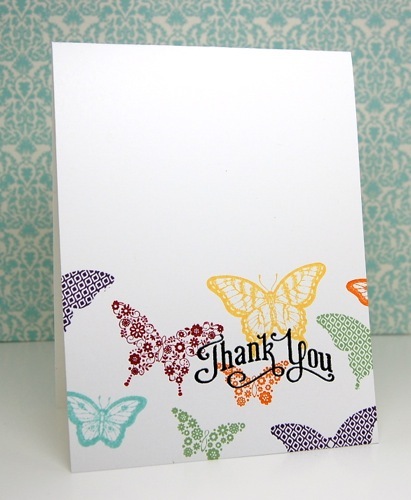 I love the fun colors and patterns. It's bright and well, fresh, like the name implies. I know that in a matter of a few weeks my projects will be switching over to Fall and Winter, so today I'm hanging onto Summer. 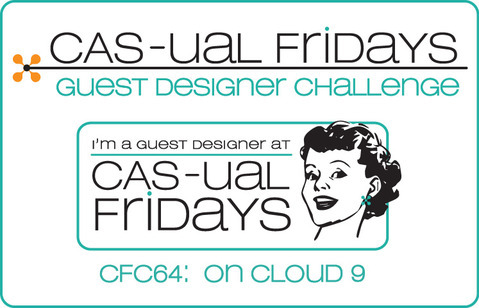 My project was inspired by this week's CAS-ual Friday's Challenge (CFC67). This is my first time playing along in the Runway Inspired Challenge. 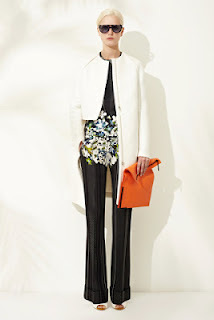 The clean lines and pop of color just spoke to me. 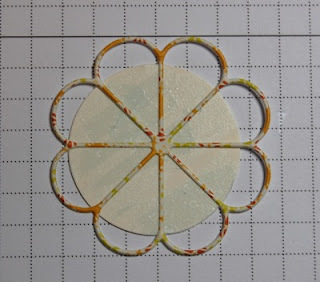 I used the Quilt Cuts 1 Die to make my focal point using colors pulled from the inspiration piece. 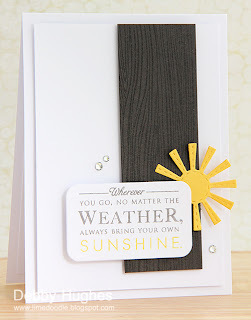 Then adhered that to a thin strip of white that was stamped using a background building stripe from Country Charm. 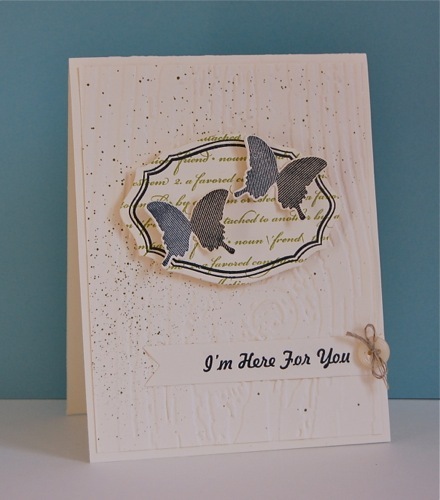 To make my sentiment pop, I embossed it with white embossing powder. This clean and modern design was finished off with a single black pearl. 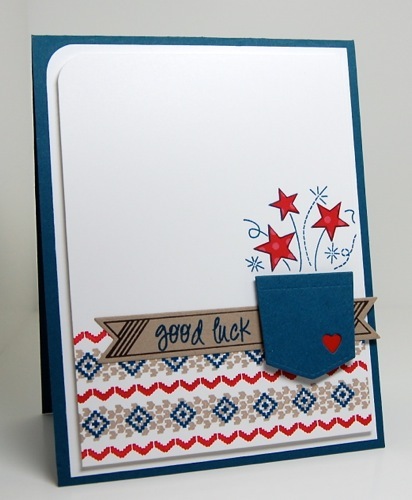 **This card is also being entered into the Asymmetry Challenge at Moxie Fab World! 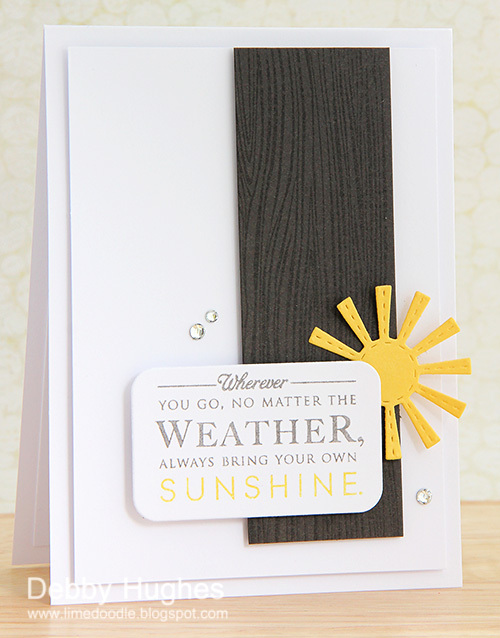 I made this card for several "Back to School" challenges. I decided against a traditional card with pencils or buses and instead designed a card a little more grown up for my almost fourth grader. Just a little something to let him know I love him, I'm thinking of him and so very proud of him always. 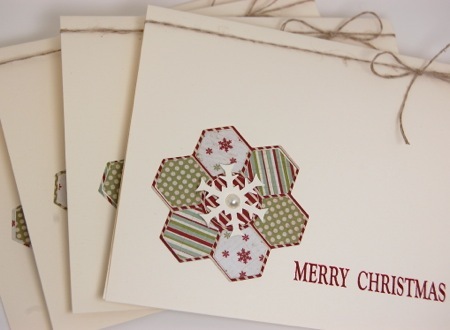 I stamped my background using Fair Isle Backgrounds and paper pieced the stars. I have to share some exciting news with you. 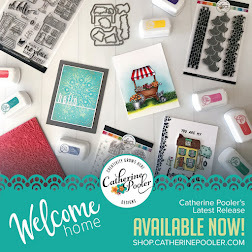 I found out this morning that I was chosen as this weeks Featured Stamper at Splitcoaststampers. Wow, what an amazing honor! 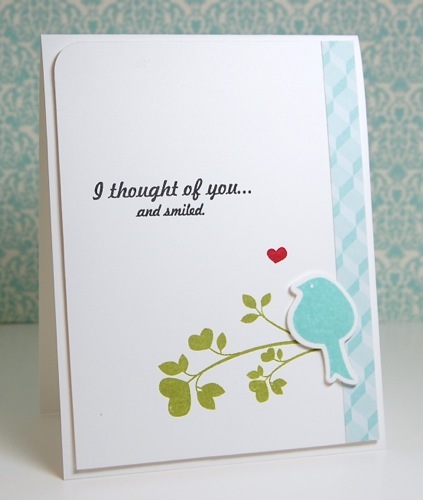 I am honestly overwhelmed and speechless as I am scrolling through pages of cards that were inspired by ME! ME??? Goosebumps everywhere!!! As I mentioned yesterday, I thought I'd have to participate in the CASE Study challenge again this week. 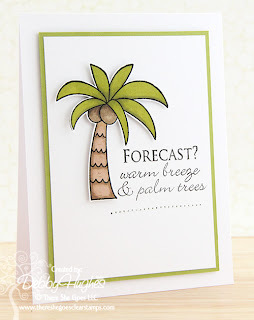 I chose another one of Debby's card to CASE. It's here! Release day!!! 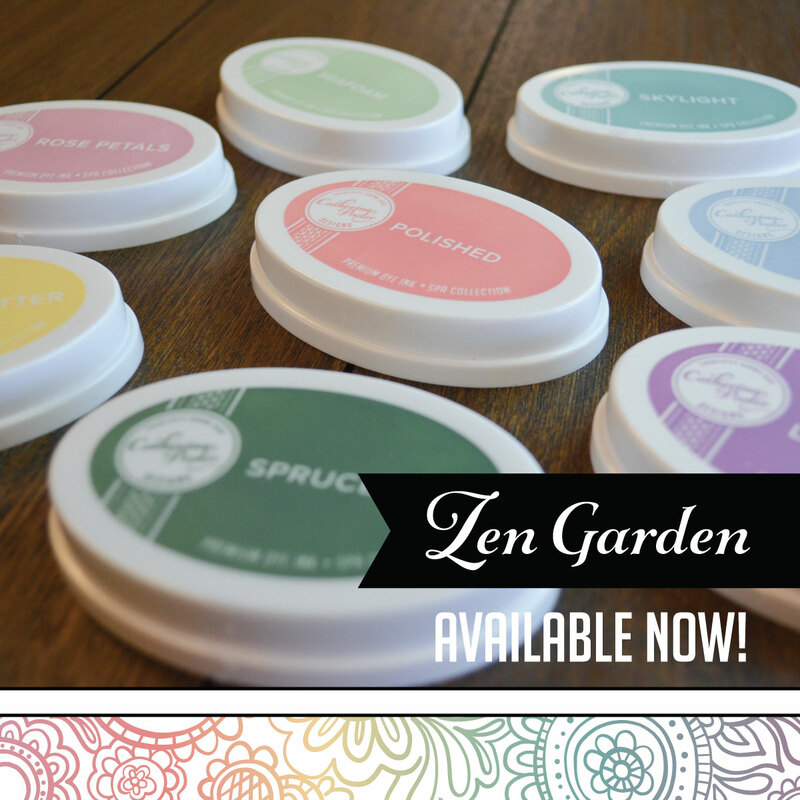 All of the products that have been previewed this week are now available to purchase at Wplus9 Design Studio. I have one last project to share with you today using Happy Harvest & Happy Harvest Die. I had to make at least one project using this adorable scarecrow. How cute is he?!! And do you see those Pinking Squares peeking out from behind him? 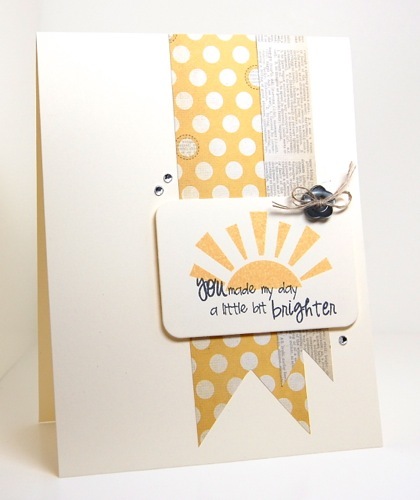 I love layering images and making my own patterned paper. 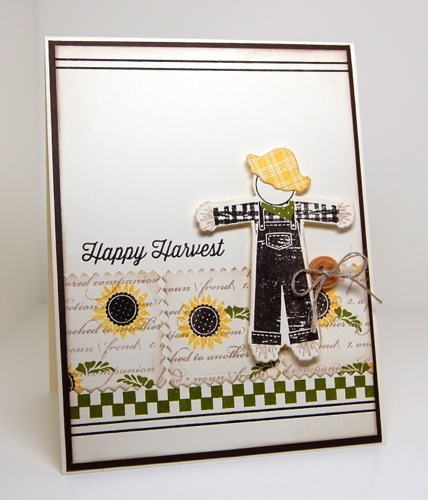 I started my card by stamping the scarecrow and accessories, then I sent him (*yes, I am calling it a him!) through the Big Shot. His hat was stamped using Country Charm and then that was die cut too. I set him aside while I worked on the rest of my card. To make the patterned paper...I started with a strip of scrap paper. I randomly stamped the sunflowers from Happy Harvest, then the leaves from Mother's Day Bouquet and finally Defining Words. I die cut three Pinking Squares and distressed them. I adhered everything and added just a bit more stamping using the background building strips from Country Charm and distressed all edges. I hope you've enjoyed this release as much as I have. 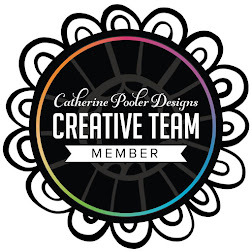 It has been such an honor and privilege to join the Wplus9 design team this month. 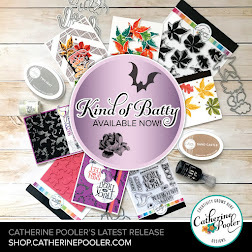 I'm sad it is over, but so happy that these products are now available to YOU. I can't wait to see what you all do with them. 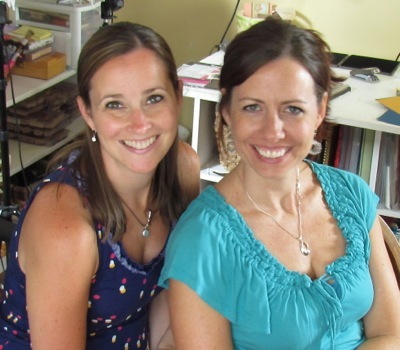 Visit the Wplus9 Design Team for one more project showcasing these amazing new releases! I'm back today with Day 2 of the Wplus9 release. 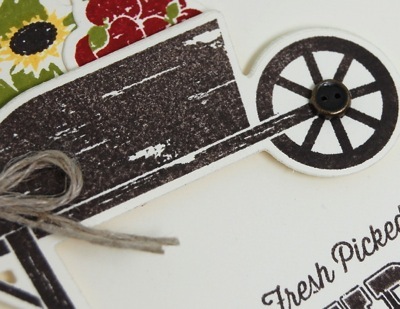 Today the design team is introducing a new stamp set called Country Charm and two new dies, Clear Cut Stackers: Pinking Squares and Quilt Cuts 1. For my project I used Quilt Cuts 1 & Pinking Squares. Let's take a peek! I started by die cutting Quilt Cuts 1 in several different patterns. 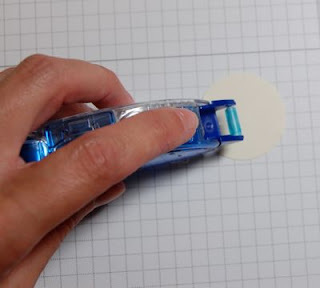 Then I punched a 1 3/8 circle and covered it with adhesive. I adhered the outline of my flower first. 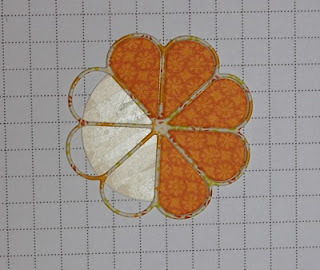 Then I filled in the petals using a coordinating pattern. 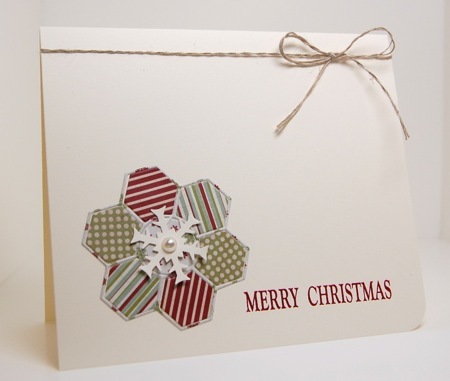 In no time at all, my embellishments were ready to add to my card. 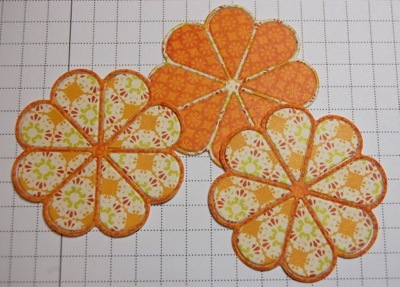 To finish off my "flowers" I added a circle from one of the other patterns in the Quilt Cuts 1 Die, then topped them off with a button and twine. 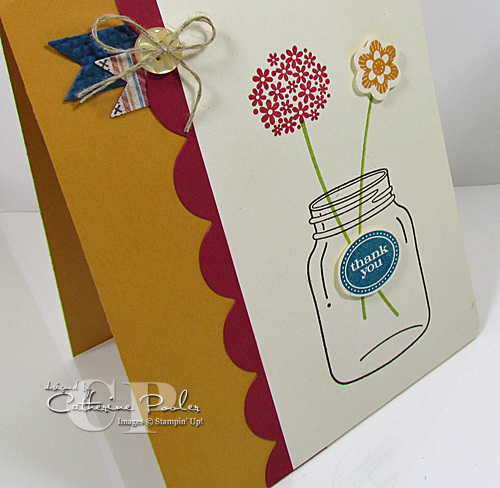 To make them look even more realistic, I added a leaf sprig from the Folk Art Florals Die. Fun, right?! 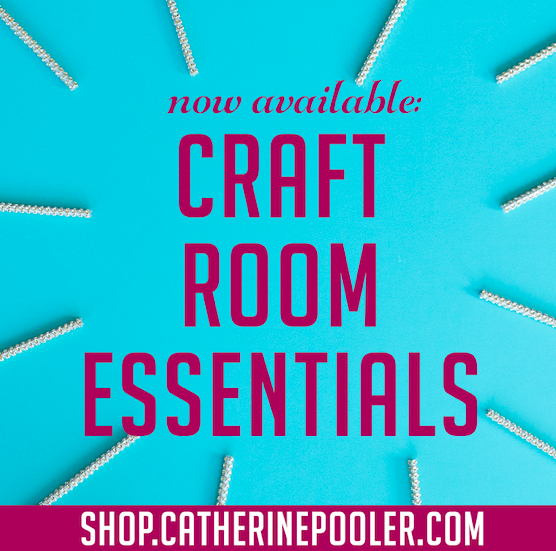 You could make these in all kinds of colors and patterns! 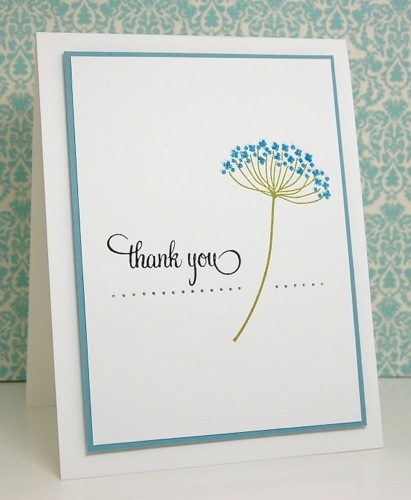 Before you go, see the pinking edge on the left side of my card? That's the Clear Cuts Pinking Squares Die. I simply trimmed off two of the edges on the largest square and used them as a border on my focal panel! 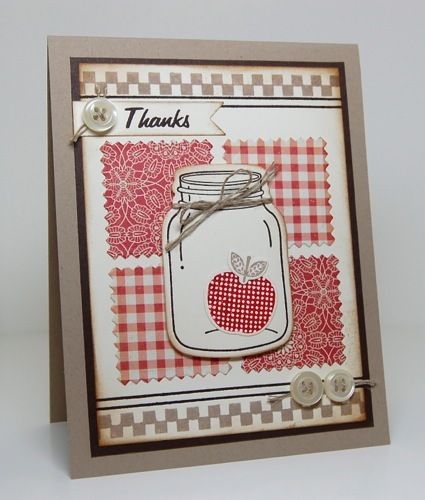 And the sentiment is a sneak at Pretty Patches: Apples, more on that tomorrow! You are in for a real treat this month! These new products are really amazing. 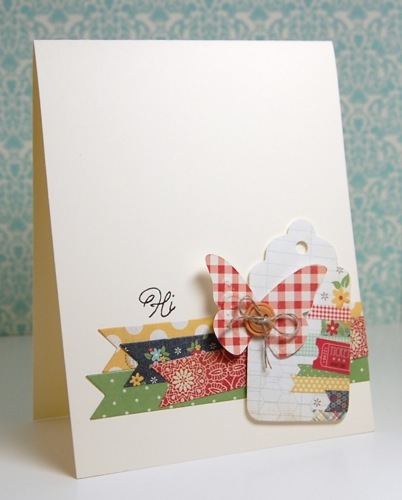 First up is Happy Harvest & Happy Harvest Dies. 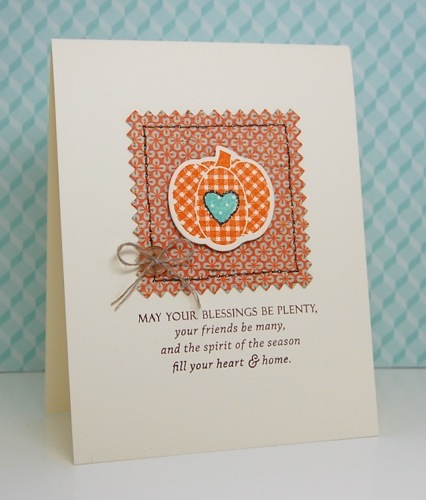 Happy Harvest has such a wide variety of images and sentiments. 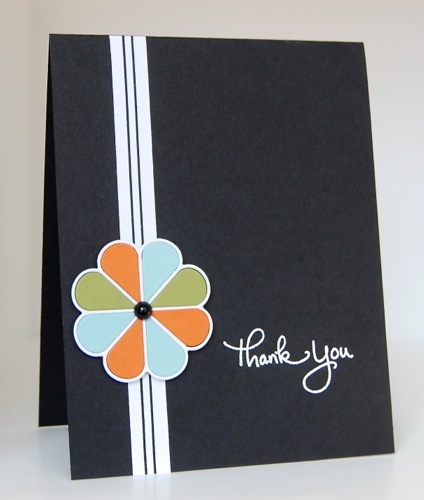 It's perfect for birthday's, thank you's or anything fall! 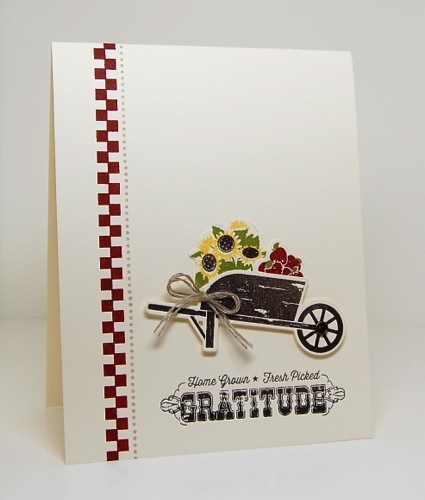 I had so much fun deciding what I'd fill my wheelbarrow with...those sunflowers though jumped right out at me, I knew I'd have to use them first! 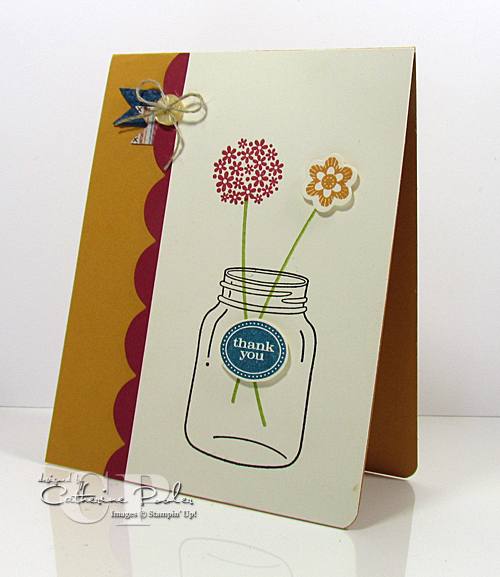 I added a border from Label Layers 4 and another set you'll be introduced to tomorrow! 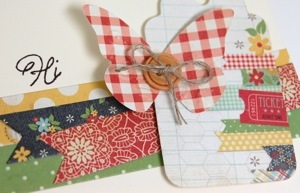 With such beautiful images my card didn't need much embellishing, just a simple brad and twine bow. Now head on over and check out what the Wplus9 design team has created for you today. See you tomorrow for Day 2 of the Wplus9 August/September Release! 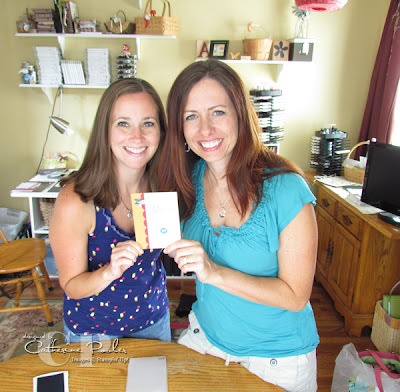 A few weeks ago I started "teaching" lessons in CAS cardmaking at StampNation. 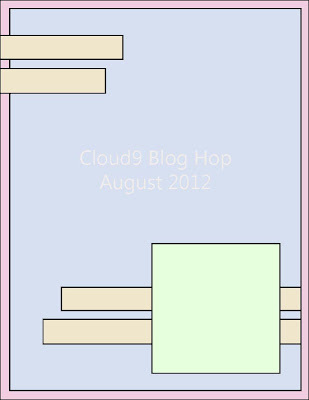 We have discussed things like balance, white space and the visual triangle. 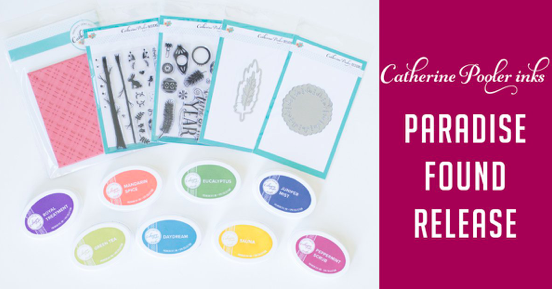 Each week the lesson contains samples and tips, as well as the "why", which seems to be what the members are appreciating the most! 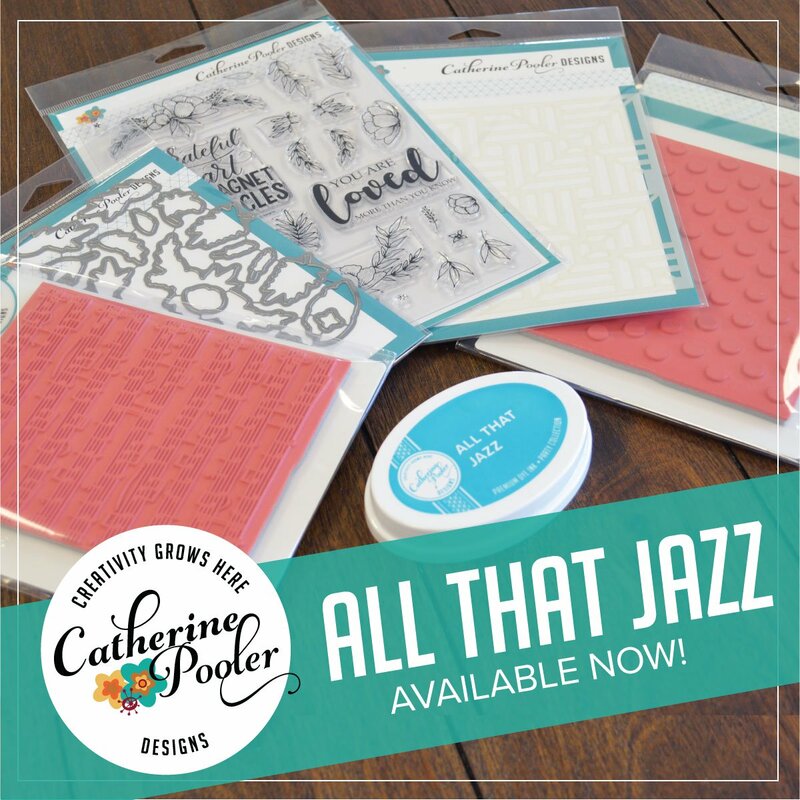 We started One Layer Card's last week and I seem to have them on the brain! 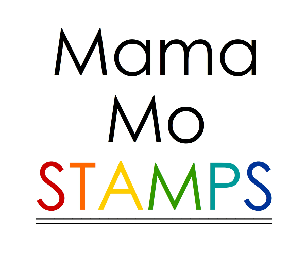 I can't stop making them :) This is my sample for this weeks challenge at StampNation (Spectrum of Color), as well as the challenge (things you see in the sky) at CAS-ual Fridays.